We are all unpaid volunteers, supported by membership dues and charitable contributions. Our purpose is to promote the understanding and preservation of wildlife and the environment that supports it. Our goals are preserving, protecting, and restoring wildlife habitat. Our main activities are advocacy, education, and volunteer projects. For more information about this service please read the full article using the Audubon Informational Hotline. A schedule of Chapter Meetings and Field Trips are published in The Skimmer our newsletter. Members of the National Audubon Society living in the chapter’s local area automatically become members of the Francis M. Weston Audubon Society and Audubon of Florida. Members receive the periodical publications of all three organizations. Audubon, published bimonthly by NAS, covers nature, wildlife, and environmental issues of national interest. 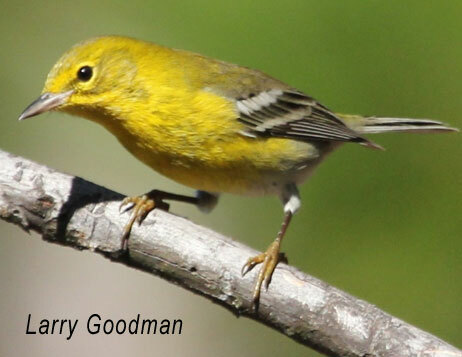 Florida Naturalist, published quarterly, focuses on state issues. Our chapter newsletter The Skimmer is published quarterly and covers chapter activities, local wildlife news, and local environmental issues. Introductory dues are $20 for the first year. You can become a member by sending your name and address and a check, payable to National Audubon Society, to our address, PO Box 17484, Pensacola, FL 32522. Persons who are already members of other chapters, or who do not want full membership, can keep up with our chapter news by subscribing to our newsletter. Send your name and address and a check, payable to the Francis M. Weston Audubon Society to our address, above. Rates are $7 per year.